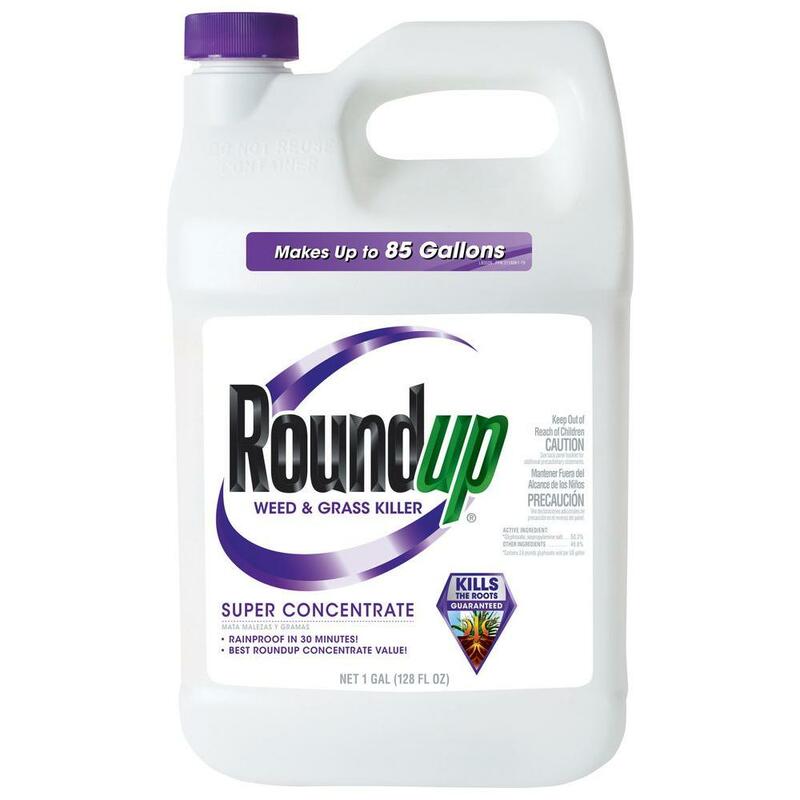 The World Health Organization, in a March 20, 2015 report, stated that glyphosate is a “probable” human carcinogen. In 2017, the European Parliament voted to ban glyphosate in 28 countries. Currently, countries around the world are considering banning glyphosate or have already banned it. Glyphosate has also been identified as a leading cause of the loss of 90 percent of the population and the threat of extinction of Monarch Butterflies in North America. Monarch Butterflies are a major crop pollinator. The herbicide kills milkweed, which is the sole source of food for Monarch caterpillers. Glyphosate is the most heavily used herbicide in the world. Even people who are not farm workers or groundskeepers, widely including home gardeners, are being exposed to the cancer-causing chemical. Although the vast majority of glyphosate is applied to genetically modified corn and soybeans, it is increasingly being sprayed on oats just before harvest as a drying agent, or desiccant. Glyphosate kills the crop, drying it out so it can be harvested earlier than if the plant were allowed to die naturally. This allows easier harvesting but also increases the likelihood that the pesticide makes it into food. The herbicide is now being sprayed on more than 70 types of crop. Crops sprayed with glyphosate. Source: Live, Love, Fruit blog, livelovefruit.com . Material for this article is from EWG and other sources. For more information please contact The Environmental Working Group (EWG), Monica Amarelo (202) 939-9140, monica@ewg.org EWG is a nonprofit, non-partisan organization that empowers people to live healthier lives in a healthier environment. Through research, advocacy and unique education tools, EWG drives consumer choice and civic action. 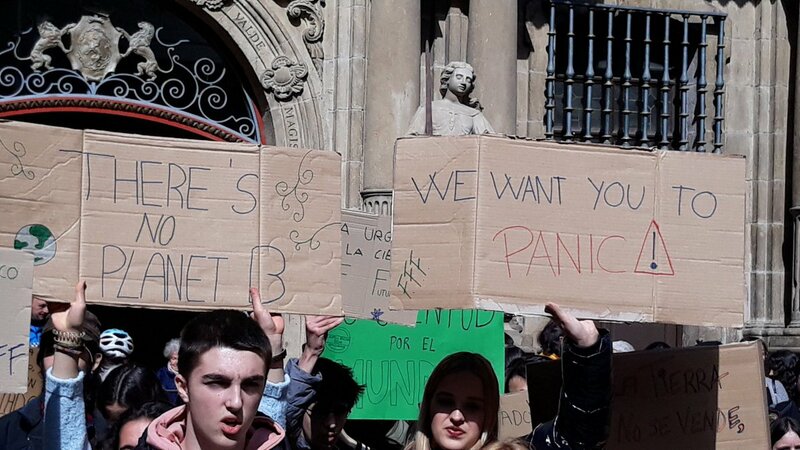 On every continent and in more than 125 countries, more than one million students in high schools and younger went on strike on Friday, March 15, 2019. There were more than 2,000 different protests. 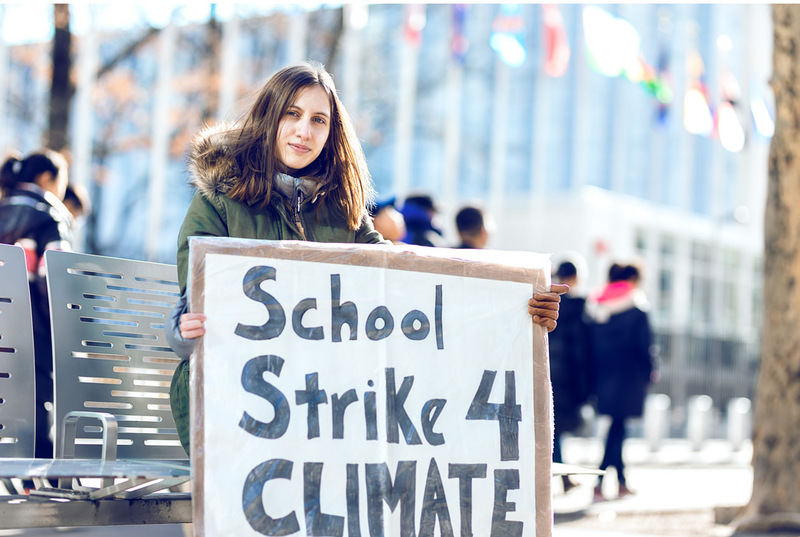 The first global school strike day is to be followed by persistent Friday school strikes, until governments and businesses everywhere take the emergency actions needed to avert the worst global warming results now projected by scientists. The people of Earth only have 11 more years to avoid disastrous levels of global warming, according to a 2018 report from the UN Intergovernmental Panel on Climate Change (IPCC). In its newest report, The Living Planet Report 2018, the World Wildlife Fund found that human beings have wiped out 60 percent of all mammals, birds, fish and reptiles on Earth since 1970. Photo by Jamie Tehonica. Alexandria Villasenor, 13, California, United States. Certainly, Bernie’s new campaign has a far higher starting point than when the Vermont Senator first called for a “political revolution against the billionaire class” in the spring of 2016 and was overwhelmingly ignored by the corporate media. While it is still early, Sanders is well poised to politically define the coming Democratic primary. Sanders’ video announcement yesterday began with the declaration: “Real change never takes place from the top on down, but always from the bottom on up.” I fully agree. And that is why Socialist Alternative and I will be working with others to launch grassroots campaigns in communities, unions, schools, and workplaces across the U.S. to build a mass working class fightback around Sanders’ campaign. There is a great deal at stake in this election. Trump urgently needs to be driven out, and socialists and the left must take full advantage of the potential to organize alongside the millions already moving into struggle and who now will be mobilized around Bernie. But we should also heed the lessons from 2016, when the Democratic primary was rigged against Bernie: with the Democratic National Committee (DNC) actively organizing against him, maneuvers in a series of state caucuses and primaries, the threat of the undemocratic superdelegate system, and with the corporate media and “progressive” Democratic figures leading waves of blistering attacks. Working people need our own party, independent of corporate money and power, and that fights alongside our movements rather than against them. I think Bernie should run as an independent socialist, as I have, and use his campaign to launch a new mass party for working people, instead of running inside a corporate party whose leadership is determined to stop him at all costs. Bernie unfortunately has made his decision and is running in the Democratic primary, but it is not acceptable that our political movement becomes imprisoned in this process. The 2016 election had terrible political consequences. Prior to launching his first campaign four years ago, Sanders said he was considering running either as an independent or as a Democrat and that he wanted to hear what people thought. This time he has bypassed that discussion and is making a fundamental mistake, though undoubtedly many people agree with him on a pragmatic basis or out of hope that the Democratic Party can somehow be remade into a people’s party. While it is certainly true that Bernie will gain an enormous platform in the Democratic primary, declaring now that he was running as an independent and using his campaign to lay the basis for a new party would create a massive earthquake in American politics. In a column in the New York Times today entitled “Is America Becoming a 4-Party State?”, Thomas Friedman attacks the new left around self-described democratic socialist Alexandria Ocasio-Cortez but correctly points out that “political parties across the democratic world are blowing up” and that there is the basis for a real left party as well as a far right party. If the Democratic establishment succeeds in once again blocking Bernie, he should continue his run as an independent candidate all the way to November, 2020. History doesn’t offer an unlimited number of opportunities to build the kind of political force working people need, and we must learn from the past. If the Democratic leadership again succeeds in ramming through another status quo candidate, there is a risk Trump could win re-election in spite of his unpopularity and poor standings in the polls at present. Certainly an establishment candidate may also be capable of defeating Trump, as many such candidates won in last fall’s midterm elections, which were essentially a referendum on the administration’s right wing agenda. But we do not in any way accept that the politics of Joe Biden or Kamala Harris are an asset in defeating the right or that their bankrupt corporate politics represent the views or needs of working people – it is quite the opposite. Sanders today is the most popular politician in the country, and the working class demands at the center of his 2016 campaign – Medicare for All, free public college, and a federal $15 minimum wage – have been thrust to the center of American political discourse. While long popular, they now have overwhelming support in the polls as a result of Sanders and grassroots forces backing them. Many establishment Democratic Party politicians have had to at least pay lip service to them, including candidates like Kamala Harris. In 2016 and since, Sanders’ self identification as a “democratic socialist” has played a big role in creating a mass discussion about socialist ideas, a process primarily driven by the failure of capitalism and its inability to provide decent living standards for the working class or a future for young people. As Sanders pointed out in his recent response to Trump’s State of the Union address, in the U.S. working people are making less than they were in 1973, adjusted for inflation, and 80% of Americans are now living paycheck to paycheck. In recent months, Sanders joined, Ocasio-Cortez, in the call for a “Green New Deal.” This enormously popular demand has the potential to rally millions of young people and working people, in the face of a string of new reports emphasizing the looming climate catastrophe. When asked by CBS how his new campaign would be different, Sanders responded “We’re going to win.” But as my organization, Socialist Alternative, and I have emphasized, none of these working class demands – nor Bernie Sanders himself – are at all acceptable to the ruling class. Sanders will face an uphill fight every step of the way, and all sorts of maneuvers and vicious tactics will be deployed if seen as necessary to stop Sanders from winning the Democratic Primary. The echo for Bernie’s call in 2016 for a “political revolution against the billionaire class” caught the Democratic establishment and ruling class by surprise. Entirely out of touch, they expected him to be totally marginalized. My organization was one of very few who recognized the potential to build the working class politics Sanders represented. But this time if Bernie’s campaign gains momentum, he will face a more immediate and decisive pushback from the elite. The crowded field of candidates in the Democratic Primary is also a different situation than the clear contrast created in 2016 with Sanders v. Clinton. Many working people and youth will take some time to assess the different candidates running on progressive platforms, including Elizabeth Warren and Beto O’Rourke. This is understandable, but we should be clear that in spite of Sanders’ political weaknesses, which are real, none of the various candidates running as progressives represent a stronger or more reliable force for working class politics or are prepared to stand up to the billionaire class. Elizabeth Warren, the most consistent progressive after Sanders among the field of current or likely candidates, has her own serious political weaknesses. Foremost among them, Warren does not point toward building movements of the working class, without which the key demands in her progressive platform cannot be won. Warren also has shown less willingness to stand up to the Democratic establishment than Sanders. Bernie supporters will remember that Warren sat out the 2016 primary, when she was well positioned to impact the fight for working class politics by endorsing and campaigning for Bernie. It was only when Sanders was clearly defeated that Warren stepped in – to fully and uncritically endorse Hillary Clinton. This contributed to the situation where the main candidate facing the right populist Trump was an unpopular corporate Democratic nominee. As working people have seen in Seattle, where I sit on the City Council, few elected representatives are prepared to stand up to big business and the political establishment. What will really be needed to win our demands and defeat the coming onslaught of the ruling class against Sanders’ is a broad independent grassroots campaign of millions of working people, with grassroots democratic structures, independent of the Democratic Party, and aimed at mobilizing the strongest possible force. As a City Councilmember in Seattle, I have fought alongside social movements and labor to help win the $15 minimum wage, millions of dollars for affordable housing, and a series of landmark renters rights victories. All of these gains were won in spite of the fierce opposition of the Democratic establishment, which has long run Seattle City Hall. My organization, Socialist Alternative, has been the backbone of our progressive victories. Even the most well meaning of the Democratic Party Councilmembers bow to huge pressures from big business and the leadership of their own party, as we saw again with their betrayal of working people in capitulating on Seattle’s Amazon Tax last spring. Sanders’ website opens with the familiar but powerful theme of his 2016 campaign: “Not Me. Us.” We need to make this real – not just in the fight for Bernie’s campaign and against the corporate political establishment – but in the struggle for a fundamentally different kind of politics. Rather than wait and see what’s in store in the Democratic Primary, let’s start now. Let’s begin building independent grassroots campaigns in our communities and workplaces, introduce resolutions in our unions to support Bernie’s campaign, and launch student groups on our campuses. Let’s use this historic moment to launch an all-out working class fightback. But to really defeat the right wing and win the struggle for a society based on the needs of working people and a sustainable environment, we need to fight for a socialist alternative. I hope you will consider joining my organization. Lastly, if you’re in Seattle (or even if you’re not) you should sign up to support the fight for socialist politics in Seattle, by going to our 2019 re-election campaign website. With big business furious over the Amazon Tax and other progressive struggles, we will face a huge battle this year over who runs this city – Amazon and big business, or working people. 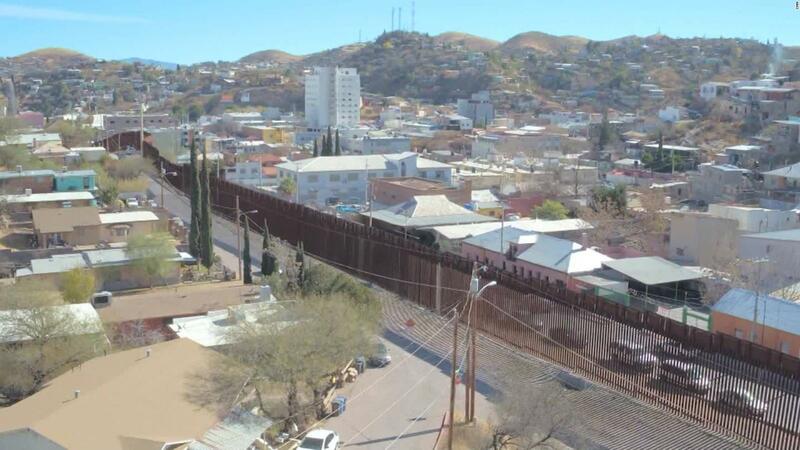 Like the Berlin Wall of Cold War days, the U.S.-Mexico border wall divides our communities. None of the major corporate news media are reporting that zero funding is proposed for any border wall with Canada. Why? Racism. Yes, news reporters and editors are cheer-leading a massive propaganda campaign of racism. The conference committee of top congressional Democrats and Republicans has announced late last night their proposal of a “compromise” on “border security”. Politicians of both big capitalist political parties and news reports have repeatedly used the phrase “border security” as a code to manipulate public opinion to fear immigrants with brown skin. The proposal must be approved by both houses of congress and not be vetoed by the president. The proposal includes funding for 55 miles of new wall on the U.S.-Mexican border. None of the major corporate news media are reporting that the entire history of U.S. immigration laws is based upon racism. Immigration is not the problem. Racist immigration laws are the problem. Racism in America is the problem. If these facts are in any way surprising, try a little homework study starting with Wikipedia: History of laws concerning immigration and naturalization in the United States. Mr. Trumpachev, Tear Down This Wall! We would like to invite you to the first meeting of a UCSD wide coalition involving UC unions, student groups, and faculty members. As most of you are aware, there was a strike by campus workers late last November for a fair contract. Unfortunately, all signs point towards the necessity of a second strike this upcoming spring. We believe that a united campus paves the way for positive social change, and would like to help faculty, students, and workers come together to form a broad base in order to address not only issues like the upcoming strike, but other problems that might arise in the future. We will be holding the first meeting on Tuesday, January 29th at noon in the Groundwork Books Store, located in the Student Center. If you are able and willing to attend, please RSVP here so we have an idea of how many people will be attending. A New Workers International is Born! CHICAGO—In its annual referendum, the Industrial Workers of the World (IWW) North American Regional Administration voted overwhelmingly to officially join the recently formed International Confederation of Labour (ICL). The ICL is an international organization linking together revolutionary unions in eight different countries in Europe, Latin America, and North America. Cheers and applause greeted the international trade union confederation ICL that was founded in Parma, Italy, on 13 May 2018. For days, delegates from seven countries had discussed statutes and priorities, paving the way for a new militant International of syndicalist unions, to counter globalized capitalism and the authoritarian developments in Europe and the Americas. Besides the CNT (Spain), USI (Italy) and FAU (Germany), IWW (USA and Canada), ESE (Greece), FORA (Argentina) and IP (Poland) are founding members of the International Confederation of Labour. Other unions expressed their interest by participating as observers in the congress, among them the CNT-F (France), FOB (Brazil), Vrije Bond (Netherlands and Belgium), GG/BO (Germany) and UVW (UK). The union International aims to unite the struggles of workers, particularly to enable the cooperation across borders between branch groups in the same sectors and companies. Joint workshops will create opportunities to learn from each other how to win. The initial focus of the ICL will be on the food, logistics and education sectors. A joint day of action and strike on 8 March will highlight feminist struggles. The Inaugural Congress of ICL (International Confederation of Labour) was held in Parma, Italy, between 11 and 14 May 2018. As a result, we are happy to announce the formation of the ICL, an international working class organisation. 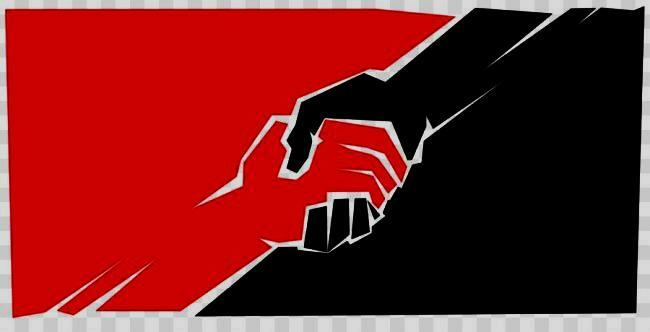 The ICL brings together a number of anarcho-syndicalist and revolutionary unions from around the world. It is born out of their desire for closer collaboration and to add an international dimension to their local work, which will allow them to coordinate with comrades around the world and make their struggles visible to a global audience. Its main goal is to contribute to deep social and economic transformation worldwide. The ICL understands that any development on the international level must be based on sound local foundations in the territories of the respective unions. This International aims to be a tool to coordinate this work and to further the growth and expansion of its member organisations and of their initiatives. In the years to come, the ICL’s primary objective will be to foster the development of working class struggles around the globe. 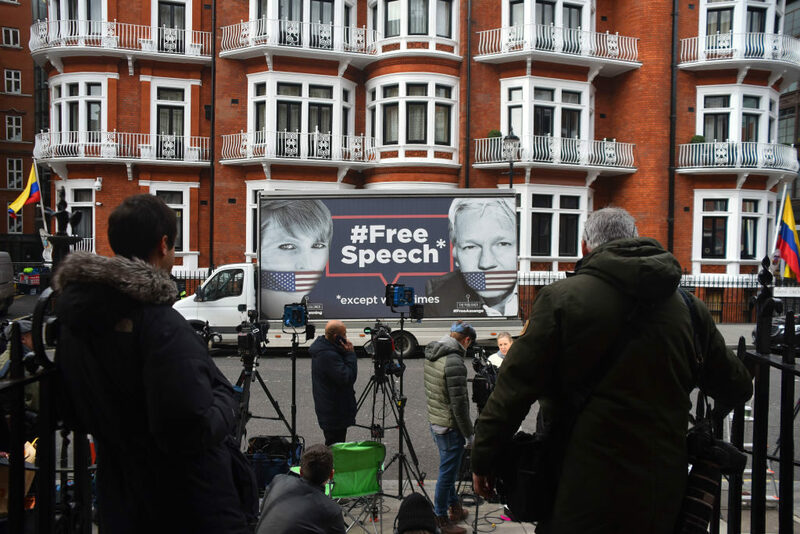 The ICL and its member organisations understand that there is an urgent need in the world today, as always, for a revolutionary project aiming at deep social, economic and political transformation. 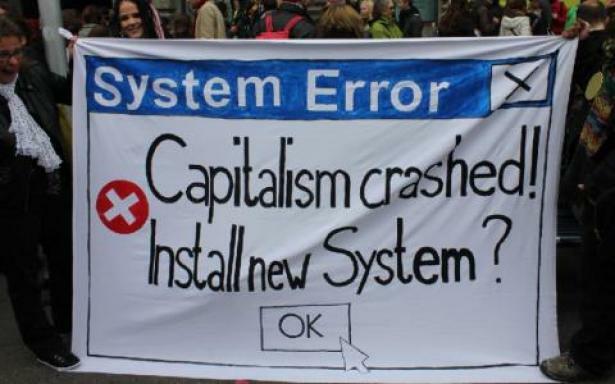 In the face of a looming environmental collapse, of a permanent crisis of capitalism, and of the upsurge of sectarianism, fundamentalism and the rejection of diversity in many societies and cultures across the globe, it seems obvious that a radical project for social transformation is required to overcome these evils. Any such development can only be of a revolutionary nature. However, the ICL does not pretend to be the sole agent of such a transformation. Considering the nature of the crisis of civilisation that we face, the ICL acknowledges that these changes can only be carried out by a broader grassroots, non-hierarchical movement. The ICL’s intention is to contribute to this development, according to our means, from our field of action, which is economic and labour related. We look forward to cooperating with those active in other fields, such as ecologists, feminists, workers’ collectives, squatters and antifascists. In order to define who we are and what we stand for, the ICL and its member organisations have agreed upon a number of principles, such as solidarity, class struggle, internationalism, horizontality and federalism, independence and anti-parliamentarianism, direct action, antifascism, and the protection of the environment. We welcome all anarcho-syndicalist and revolutionary unions to join us who are willing to be bound by our federative agreement, which is based on our principles and defines minimum standards member organisations adhere to. Those organisations wishing to join ICL but that have not reached the stage of being a formal union yet, can do so as initiatives. The ICL does not recognise the artificial limits set by the borders of states. Therefore, more than one organisation per country can join the ICL, as we acknowledge that there can be many geographical, cultural or historical issues behind any given situation. At the same time, organisations that are active in more than one country, for whatever the reason, can also become sections. In any case, all member organisations of the ICL have the autonomy to decide what other organisations they will work with, even on an international level. That is, they can and will develop working relationships with any group, member of ICL or not, that they consider opportune to achieve the goals required to carry their struggles forward. As such, it is foreseen that the ICL and its member organisations will develop a wide range of contacts and working relationships in the near future. These can involve unions that are not part of ICL or any other organisations that share our revolutionary aims and our fundamental principles but that are active in a different field than ours. We sincerely hope that the foundation of ICL, which we enthusiastically welcome, will encourage the development of a movement that is both revolutionary and transformative for workers across the planet. Without a doubt, this is the main goal of our International. We invite all those who share our aims and principles to joins us in building this movement, and we hope to develop a collaborative and working relationships with all of you in the near future. The future is ours! We are the future! Miguel Perez, acting secretary, on behalf of the Liaison Committee of the International Confederation of Labour. Statewide student demands have been presented to the UC Regents, system-wide president, and campus chancellors at the UC campuses. The demands are in solidarity with 3 UC workers’ unions trying for the past several months to get contract renewals with the Regents. The demands also address immigration, Palestinian rights, policing of First Amendment activity and other issues. According to the news report in The Triton, the demands were presented to the UCSD Chancellor on December 4. The UCSD Labor Commission is a student organization. Justice for the Workers of the University of California! The students of the University of California demand respect, dignity, and fair contracts for the frontline workers who make our campuses function! 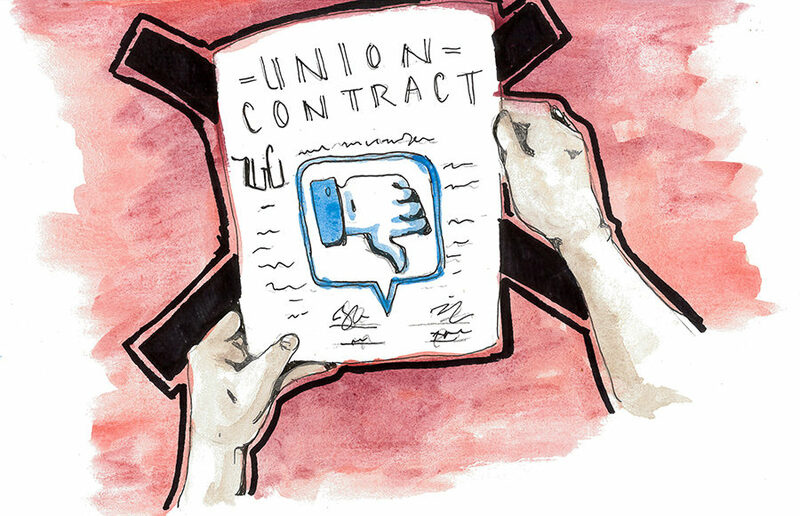 AFSCME 3299, UPTE-CWA 9119, and UC-AFT – labor unions which represent workers at the University of the California – have been in contract negotiations with the UC for many months. Throughout the bargaining process, the UC has continuously denied our workers the respect, dignity and fair contracts they deserve. The UC system claims to champion the virtue of equality, and it has even described itself as a “pioneer” in the struggle to create a more equitable society. Meanwhile, it is denying our workers basic job security, living wages, racial and gender pay equity, and more. The University of California must stop exploiting its workers and honor its purported commitment to equality with a fair contract for UC workers. Us students of the UC system have thus come together to declare our support for our UC labor unions and to demand for the UC to provide our workers with the respect, dignity, and fair contracts they deserve. We urge you to sign on and join us in the struggle for campus labor justice! We, the students of the University of California, in order to promote social and economic justice, demand that our UC system: (1) Provide livable wages and stable benefits and retirements to all UC workers; (2) End subcontracting practices; (3) Terminate all direct and secondary ties with federal immigration agencies unless legally required; (4) Divest from companies complicit in the violation of Palestinian human rights; (5) Prohibit the deployment of UCPD to on-campus actions; (6) Guarantee academic freedom to academic librarians; and (7) Satisfy the bargaining demands of all UC labor unions. We request an official public response to these demands by January 15th, 2019. ADDRESSING THE CHANCELLORS OF THE UC SYSTEM: For all of the listed demands whose implementation lies outside of the jurisdiction of individual UC campuses, each UC Chancellor shall publicly endorse these demands; vocalize their support for these demands to the University of California Office of the President, to the University of California Labor Relations Office, and to all relevant statewide UC bodies; perform all actions within their power to ensure the passage of these demands on a statewide level; and create and implement policies at each UC campus that are commensurate with each proposed statewide demand, and will do so to the furthest extent of each Chancellor’s jurisdictional power. These demands, though specific to each campus, are endorsed by the entire list of signatories disclosed at the end of this document. JUSTICE FOR UCD WORKERS & STUDENTS: Honor and meet the coming student demands by those directly impacted from the assault inflicted on students and workers from a UC Davis official on October 25, 2018, the last day of AFSCME 3299’s strike. LONG RANGE DEVELOPMENT PLAN & CURRENT P3 HOUSING: Public Private Partnerships must not outsource UC jobs at P3 developments such as the newly anticipated long range development plan at West Village & Orchard Park and move to insource currently outsourced workers at P3 housing developments. UCD Administration must add workforce housing to their housing Long Range Development Plan. This housing must be made available to and staffed by university union workers. Students demand that housing shouldn’t come at the expense of workers quality of life. AGGIE SQUARE: UC Davis construction of the new innovation hub in Oak Park, Sacramento will outsource many UC jobs including some of those who are already employed at the UC Davis Medical Center. These workers will be let go and will need to apply at the new UC Davis Rehabilitation Center lead by Kindred Healthcare if they wish to continue work. We demand that UC Davis puts a stop to outsourcing of UC jobs at Aggie Square which contributes to the income, race, and gender inequality. CHANCELLOR MAY MUST COMPLETELY DISAFFILIATE FROM LEIDOS AND ALL OTHER OUTSIDE COMPANIES. This is in accordance with demand 3a above general. Outside board seats take time away from serving student and worker needs which should be the sole job of a university chancellor. They also frequently lead to conflicts of interest as we saw with former Chancellor Linda Katehi’s outside board seats. More specifically, Leidos is part of the militarized surveillance state on the U.S.-Mexico border and directly benefits from Trump’s anti-immigrant agenda. REALLOCATING FUNDS TO WORKER & STUDENTS NEEDS. Redirect resources away from administrative compensation, policing, and surveillance, including the $5 million recently allocated to surveillance measures, and use them to meet student and worker needs instead. CONTINUE MEETINGS BETWEEN STUDENT COMMUNITIES AND CAMPUS ADMINISTRATORS: These meetings were implemented after a multi-day sit-in on the first floor of the administration building, Mrak Hall, last year to protest a proposed tuition hike while demanding a more democratic structure which would give students and workers more direct control over the decisions that affect their everyday lives. Implement the proposals that were brought up in these meetings last year. EQUAL PAY FOR EQUAL WORK FOR UC DAVIS SUMMER INSTRUCTORS. A summer session course is supposed to be the equivalent of a course that happens during the normal academic year. Undergraduate students get full course credit, and they pay for a full course. However, graduate students hired as instructors to teach these courses only get a fraction (about 2/3rd) of the pay they would get for teaching the same exact course during the normal academic year. Often, these graduate student instructors actually put in more in-class hours. In many situations courses that would normally have a Teaching Assistant don’t, which puts more instructional and grading duties on these summer instructors who are making less than what they make during the normal academic year with a TA to assist them. We demand that UC Davis recognize the amount of work that graduate student summer session instructors put into these courses, and that UC Davis compensate them as such – by paying them the amount they make for teaching the same course during the normal academic year. PROVIDE HOUSING STAFF WITH A PROPER BREAK ROOM: Recently UC Merced service workers had their break room taken away to allocate the space for a food pantry. UC Merced students experience food insecurity which led to the opening of our first food pantry in TC 131 through Basic Needs Security. Although students needed a food pantry, students also demand that service workers be given an adequate break room fit for all employees to use. REINSTATE RAFAEL FLORES: This university continued its campaign against Rafael Flores, a service worker who worked for housing, MAT leader, and union activist, by retaliating and preventing him from due process. Labor Relations must hold supervisors accountable for injustices and retaliation. We must hold Labor Relations accountable for circumventing worker protection and not allowing Rafael Flores a fair and just procedural hearing. The UC continues to suppress union activity and the outspoken voices of workers here on campus. Students demand a proper investigation with full access to all testimonies, names, and statements. TITLE IV INVESTIGATION: Supervisors at UC Merced are overly exerting their power and breaking policies. After multiple conversations, labor relations has been asked to open up an investigation due to the misconduct of the supervisors primarily the night shift (graveyard shift). Graveyard supervisor relentlessly harasses multiple workers during their shift. There was a specific situation this school year in which a police report was taken with key witnesses, one of them being a student. Students demand that investigations of Title IV are opened and that supervisors are fired and held accountable. Students demand that service workers who experience any violence/harassment are to be protected by the university so that they will not be retaliated against while a full investigation is being conducted. PROVIDE BASIC NEEDS FOR WORKERS: UC Merced service workers lack some of the basic needs resources and information to ease their jobs responsibilities. All service workers should have access to park on Scholars Parking lot without having to pay for a car registration pass. In the event that campus is closed, service workers should be given the option to also evacuate campus. UNDERSTAFFING WORKERS: Since the establishment of UC Merced in 2005 there has been a continual understaffing of workers. It has been known and made aware that one or two workers is not enough to clean buildings or dorms. The night shift (graveyard) has less than 10 workers cleaning the entire campus which is not sufficient. With the continual understaffing of workers and the growth of UC Merced, with the 2020 project, it has resorted to the exploitation of these workers with inadequate support and pay. This campus is growing every year and expected to double in size to ten thousand students by 2020 while not engaging in efforts to hire more service workers. Understaffing has continued for years and there has been no remedy to this ongoing issue. There has not been any efforts by supervisors, hiring agents, chancellors, or even the president of the UC system to address these concerns and remedies to alleviate these issues. Students demand that the UC hires more service workers to reduce the stress enforced on the current service workers. Students demand that the University hire more service workers after every expansion, therefore as the number of the students increase the number of service workers hired will also increase. All temporary (temp) workers in Facilities Services and Custodial Grounds Department shall be converted to full time employment. For all new buildings and developments on campus – including but not limited to, the buildings on Aberdeen Drive, the renovations to The Barn, and new dining halls that are under development – there shall be no outsourcing and all employment positions should be filled by career UC workers. Endorse and implement action demands presented on Friday, November 16th, 2018 by students addressing the chancellor search.